Give that perfect person the perfect gift of the season. The perfect person? You. The perfect gift? The limited edition Sweet Pumpkin Spice Collection. A super cute box filled with all your pumpkin essentials in this lovely sweater weather. 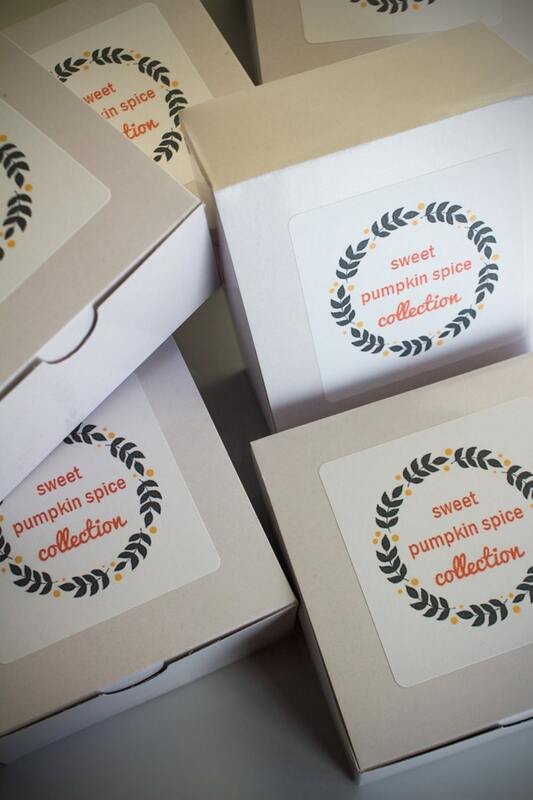 Packaging: Simple and elegant white box with Sweet Pumpkin Spice Collection label on top and directions on the other side of the lid. Custom tags may be requested. We know you're excited to get your goods, so we try to ship them as soon as we can. Of course, orders will ship as inventory allows. We make 'em good and we make 'em fresh by making all products in small batches. We will notify you via e-mail of any back-ordered or out of stock items (this should be rare). Orders ship within 1-3 business days from the date of payment. We ship anywhere in the US via USPS Priority Mail (including Alaska and Hawaii). This applies to one mailing address within the US. Package tracking is included. Delivery within 1, 2, or 3 business days based on where the package is being sent. Saturday delivery and residential delivery at no extra charge. “Business day” means Monday through Friday except the following holidays: New Year’s Day, Memorial Day, Independence Day, Labor Day, Thanksgiving Day, Day after Thanksgiving Day, Christmas Day (December 25), and New Year’s Eve. Smaller bottles than what I thought. But smelt good and my mom loved it.